Based on the 'world's spookiest podcast' of the same name comes Unexplained: a book of ten real-life mysteries which might be best left unexplained. . . Demonic possession in 1970's Germany. UFOs in Rendlesham forest. Reincarnation in Middlesbrough. To this day, these real life mysteries and very many more evade explanation. Based on one of the most successful paranormal podcasts ever, with over 10 million streams and downloads to date, Unexplained consists of ten chapters focussing on a different paranormal event, from Australia to Germany, the UK to Zimbabwe, using the stories as gateways to a journey beyond the veil of the uncanny, exploring what they reveal of the human experience. Taking ideas once thought of as supernatural or paranormal and questioning whether radical ideas in science might provide a new but equally extraordinary explanation, Unexplained is The Examined Life meets The X Files. 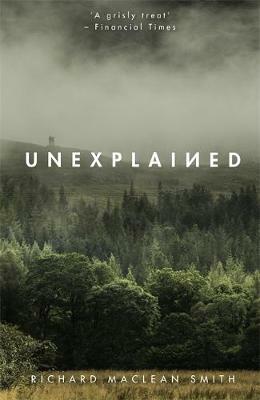 Richard MacLean Smith, part-Scottish, part-English and proud citizen of nowhere, is a writer and creator of the podcast Unexplained. An international success, Unexplained has been #2 in the US, UK and Canadian iTunes charts, and acclaimed by the Guardian and Financial Times.